The Aspen Multi-Energy System™ is a unique Therapy Treatment to improve your patients outcomes. Below is some available resources for you to learn more about the Aspen Multi-Energy System™. The Aspen System-How it works: See how the Aspen Multi-Energy System™ works and its results. 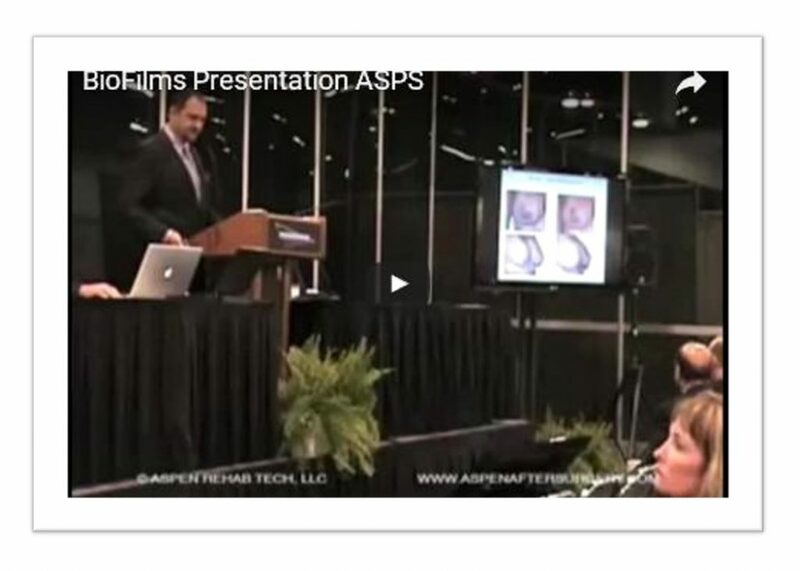 Dr. Gryskiewicz Head of ASERFS discusses Aspen Research. As discussed by Dr Joe Gryskiewicz at ASAPS GLOBAL HOT TOPICS. The Aspen Multi-Energy System is a tool that that provides a non-surgical solution for some of the most common issues associated with plastic surgery. 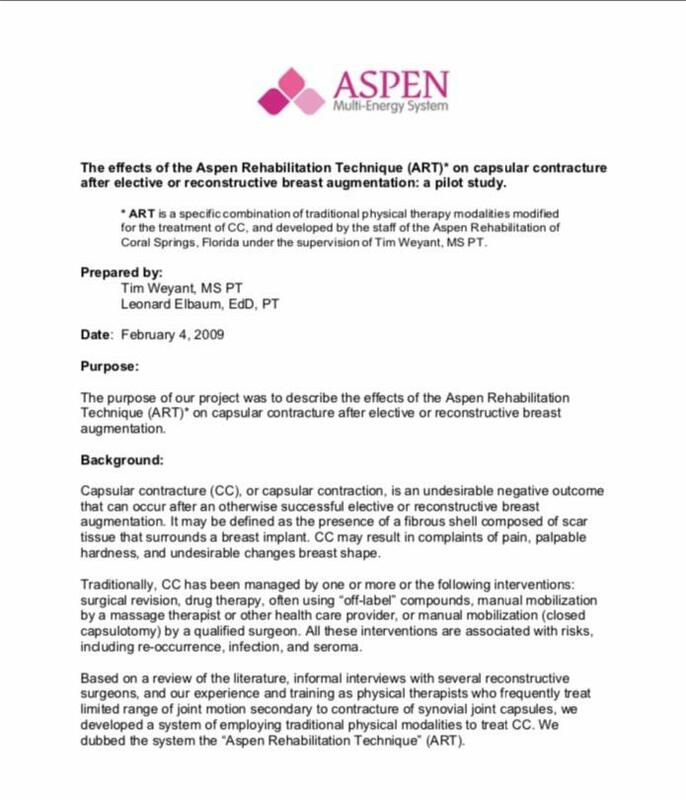 The effects of the Aspen Rehabilitation Technique on Capsular Contracture after elective or reconstructive breast augmentation: A pilot study. 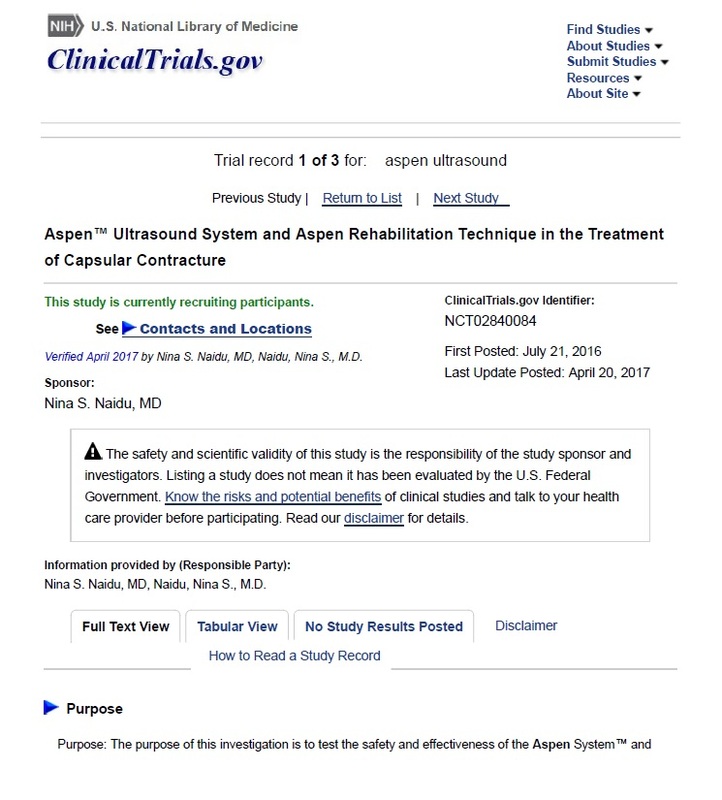 The purpose of this investigation is to test the safety and effectiveness of the Aspen System™ and Aspen Rehabilitation Technique. Access to the Newest & Latest Info for After Surgery care.